One Savvy Mom ™ | NYC Area Mom Blog: American Girl Stitch and Send - 5 Fun New Craft Kits From American Girl Just In Time For Summer! 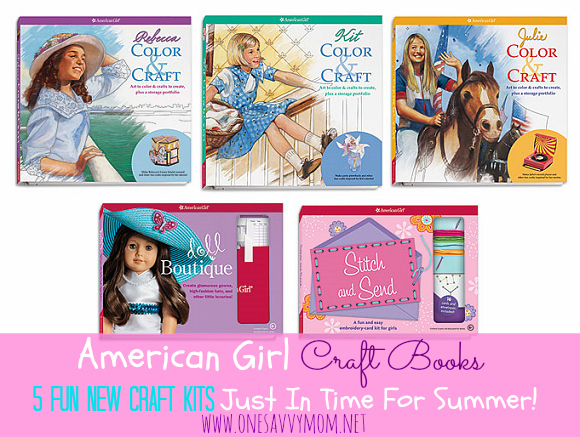 American Girl Stitch and Send - 5 Fun New Craft Kits From American Girl Just In Time For Summer! American Girl has 5 new craft books packed with hours of creative fun! Each instructional book comes with crafting components to get girls started on creating the ideas presented in the books. Our daughter has been having tons of fun learning how to embroider with the new American Girl Stitch and Send - A Fun and Easy Embroidery Craft Kit for Girls [pictured above and below]. 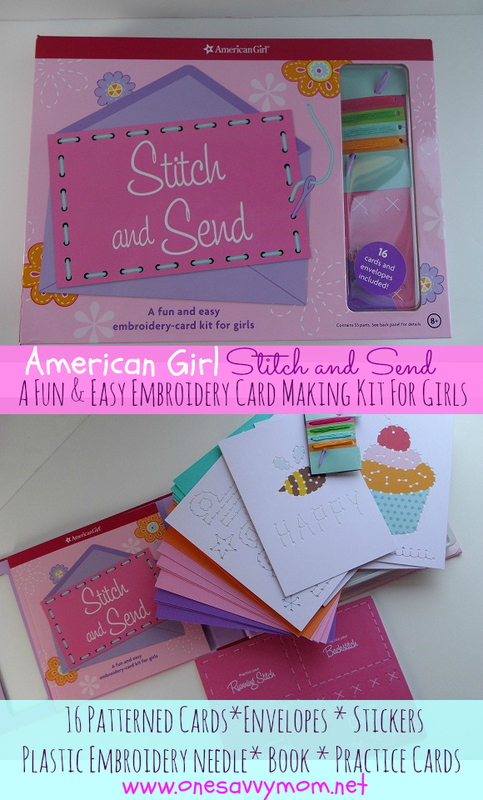 We absolutely LOVE American Girl Stitch and Send - A Fun and Easy Embroidery Craft Kit For girls! This kit offered hours of fun for our daughter and she learned so much! These fun new craft kits are perfect for the upcoming Summer months and would make a wonderful end of the school year treat for girls! 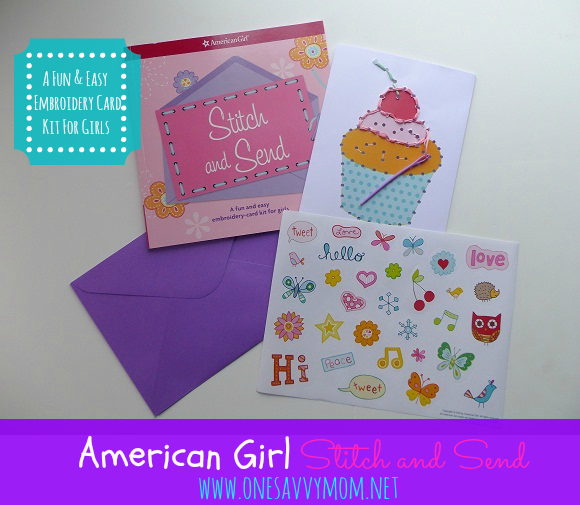 Our Thanks to American Girl for providing Stitch and Send - A Fun and Easy Embroidery Craft Kit For Girls, for review.